Robert Cox, a shareholder with Memphis, Tennessee based Glassman, Wyatt, Tuttle and Cox, P.C., has been named Co-Chair of the Fundraising Committee for Planned Parenthood of the Greater Memphis Region. The Memphis chapter announced a $12 million fundraising campaign, titled the “Now Campaign,” and led by Robert Cox, it has already secured $9.8 million in gifts and pledges. The money raised by the campaign will be used for increased patient care, including a second Memphis location. Funds also will be utilized to enhance the education, advocacy and sustainability goals of the organization. Mr. Cox, an AV-rated trial attorney, received his Juris Doctorate from the University of Notre Dame and bachelor’s degree from Princeton University. 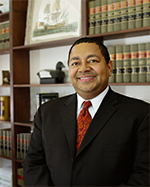 A Memphis native, Mr. Cox is a member of the Tennessee, Mississippi and Arkansas Bar Associations and Board Member of the Orpheum Theater. Glassman, Wyatt, Tuttle & Cox is a boutique law firm engaging only in civil trial litigation in courts primarily around the Mid-South, including in Tennessee, Arkansas, Mississippi, Kentucky and Alabama. Its lawyers focus their talents on helping clients achieve the best possible results in their trial and arbitration matters both inside and outside the courtroom. The firm is renowned for its ability to handle the most difficult legal situations with targeted and steadfast intensity.